How many cities in the USA can boast about having the most glorious weather all year round, when the average temperature stays around 70˚F and it never gets too hot or too cold? Not that many after all. One of those lucky ones is the charming San Diego that thanks to its enviable location and spectacular weather is a prime focus of travelers from all around the world. But you will be mistaken if you assume that these two features are the only components that make San Diego one of the most visited cities in the world. There is so much more to see and do in the America’s Finest City. 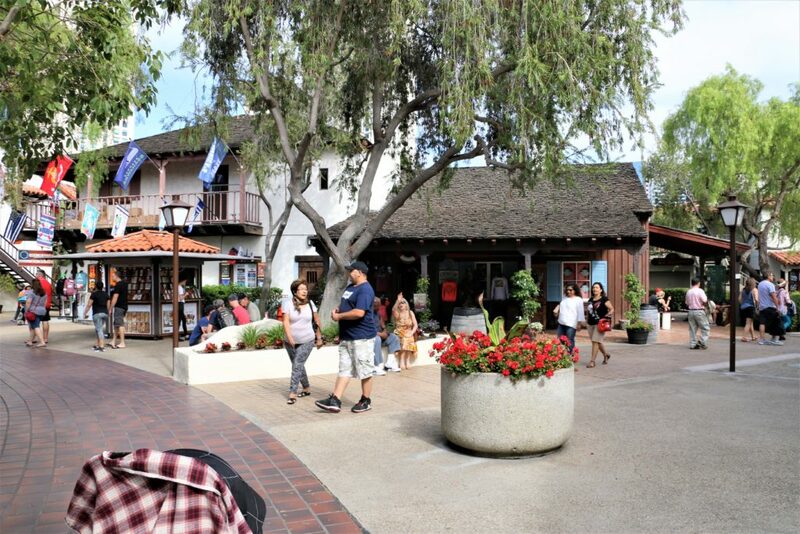 Let me be your guide and show you top 10 places to visit in San Diego. 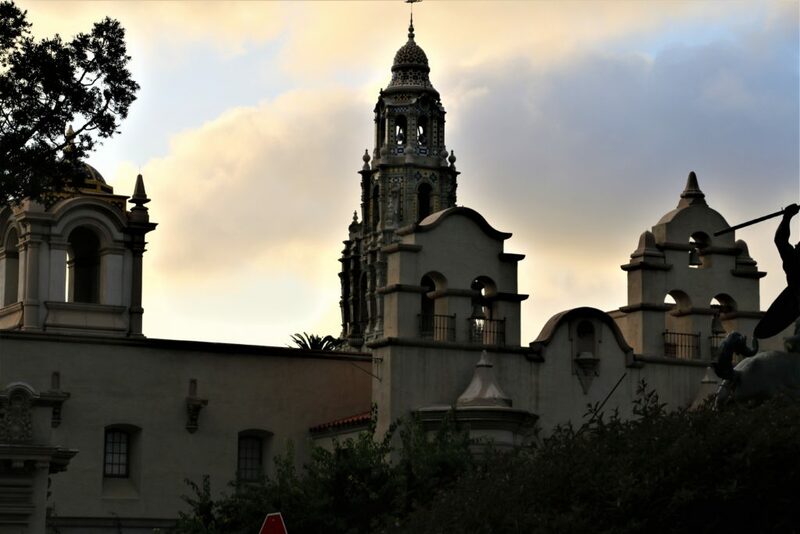 With more than dozen museums, gardens and other attractions, Balboa Park is the largest urban cultural park in the country. Visitors of all ages and interests find something enticing within the park limits. The kids can’t get enough of the rides on Balboa Park Carousel and Balboa Park Miniature Railroad along with learning about different animals and their lifestyles at San Diego Zoo. The older visitors frequent Mingei International Museum, San Diego Natural History Museum and San Diego Museum of Man. And of course there is no shortage of the tourists at the lush gardens of the park such as Inez Grant Parker Memorial Rose Garden, Desert Garden and Japanese Friendship Garden (just to name a few of them). 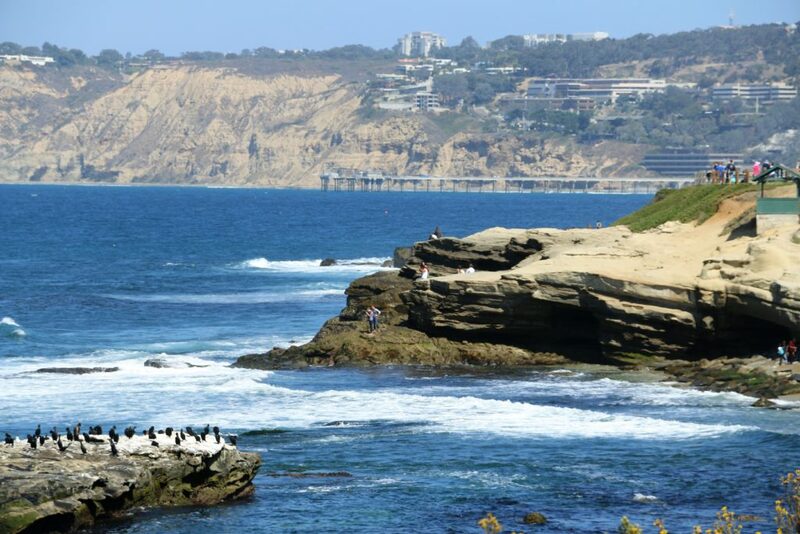 Known for its panoramic views and ecologically protected water, La Jolla Cove is the best spot in the city for swimming, snorkeling and diving. As part of the marine reserve, the cove creates favorable environment for its rich marine life and is home to such underwater creatures as yellowtail, rays, garibaldi and even leopard sharks. If even thinking about swimming with the sharks, gives you an adrenaline rush, them this is definitely a place for you. 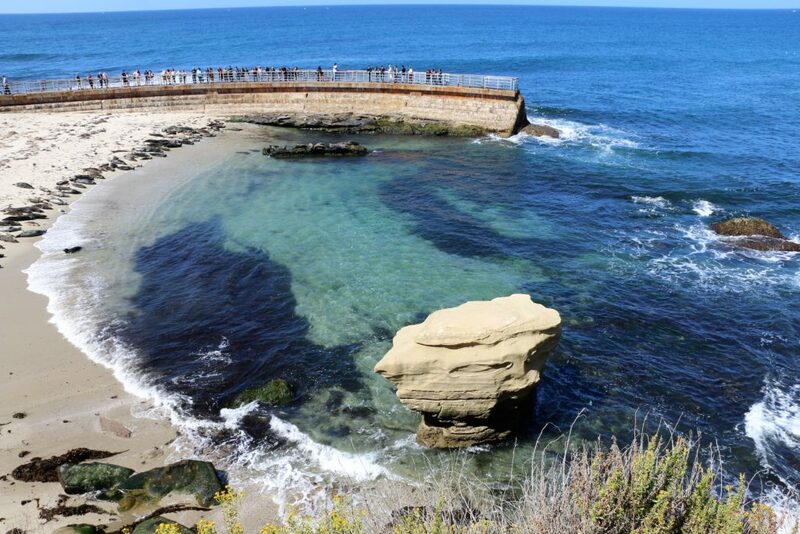 Children’s Pool is a small beach in La Jolla partially protected by a seawall. But don’t let the name of this place fool you. Children’s Pool has nothing to do with the kids. Originally intended to provide a safer environment for the small beachgoers, the beach has been colonized by seals and occasional sea lions who haul out and soak up the sun there all year round. San Diego – Coronado Bridge is famous for its unique curved design that contains 30 towers and reaches over two miles in length. Opened in 1969, the bridge quickly became one of the landmarks and most photographed places in the city. 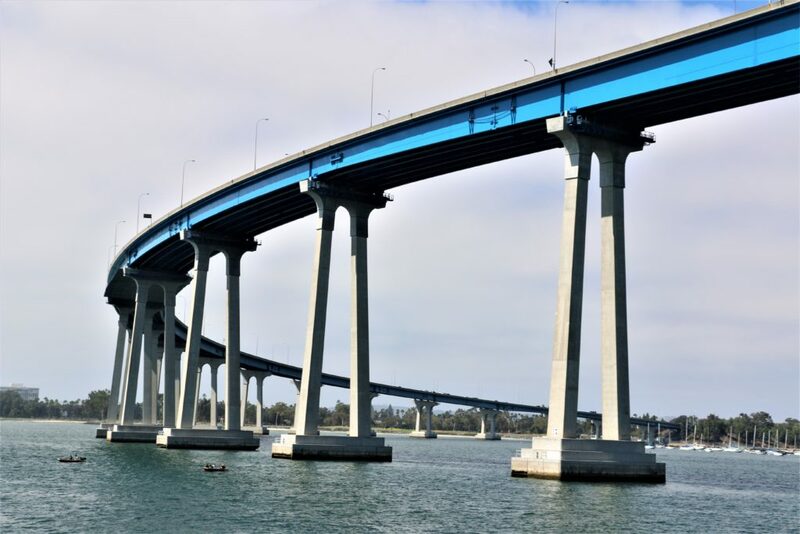 The Coronado Bridge can be seen form many parts of San Diego. But if you long to take a pictures of the great curve, make sure to do it from a deck of a ship. Who came up with idea of offering harbor cruises to the general public is a genius. 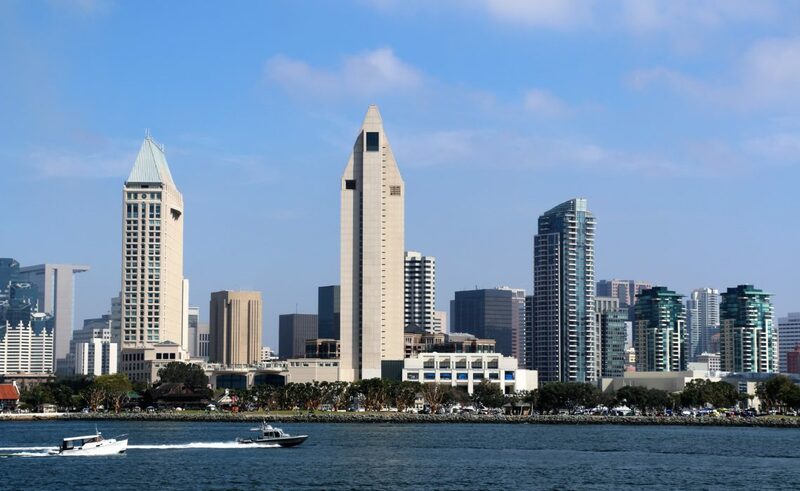 Seeing San Diego from the water and learning about its compelling history along the way can’t be compared to any other way of exploring the city (maybe only to observing the location from a helicopter). 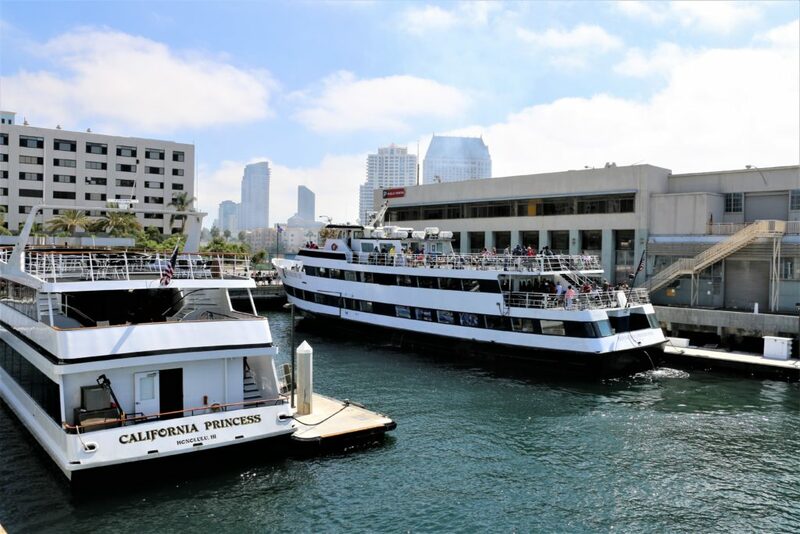 Choose one or two-hour narrated tour and discover or rediscover San Diego like never before. 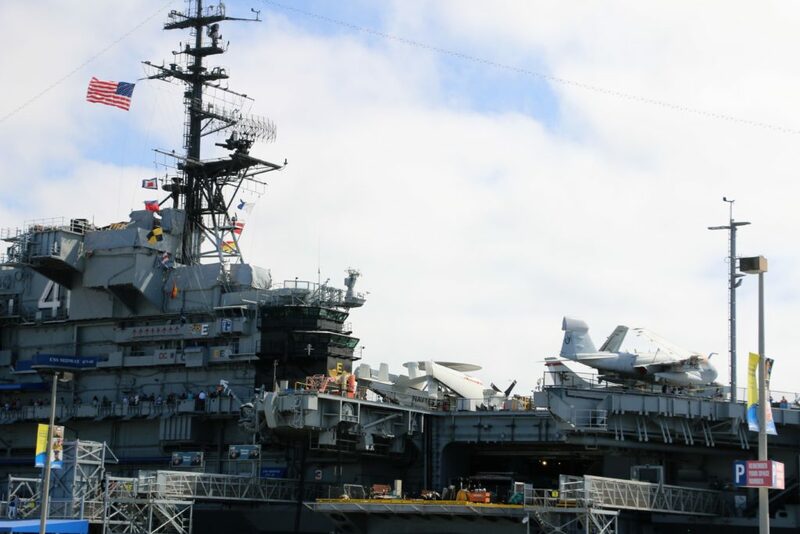 The longest-serving aircraft carrier in the history of the USA, USS Midway ceased its main professional functions in 1992. Five years later the carrier embarked on a new journey and opened the doors as the most popular naval warship museum in the country that entertains its visitors with the vast collection of the airplanes, helicopters, jets and gliders. 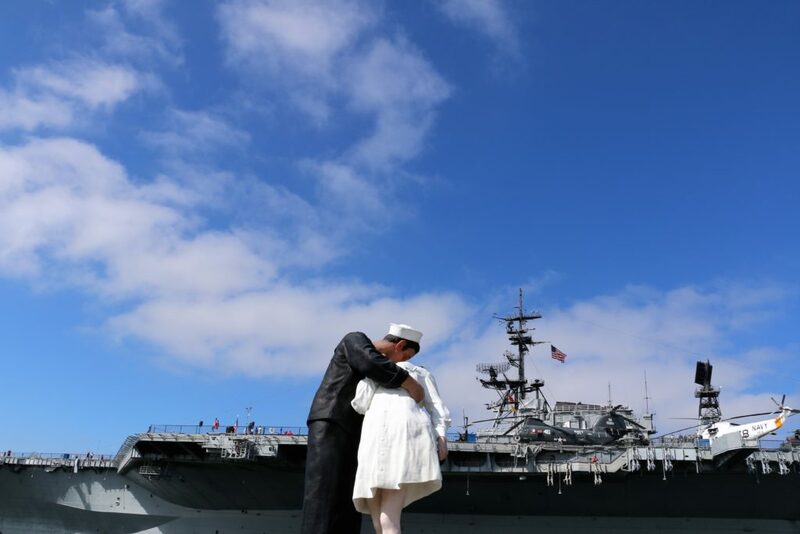 For ultimate vacation experience, make sure to stop by at Seaport Village, a remarkable shopping and dining complex situated just a short walk away from the USS Midway Museum. 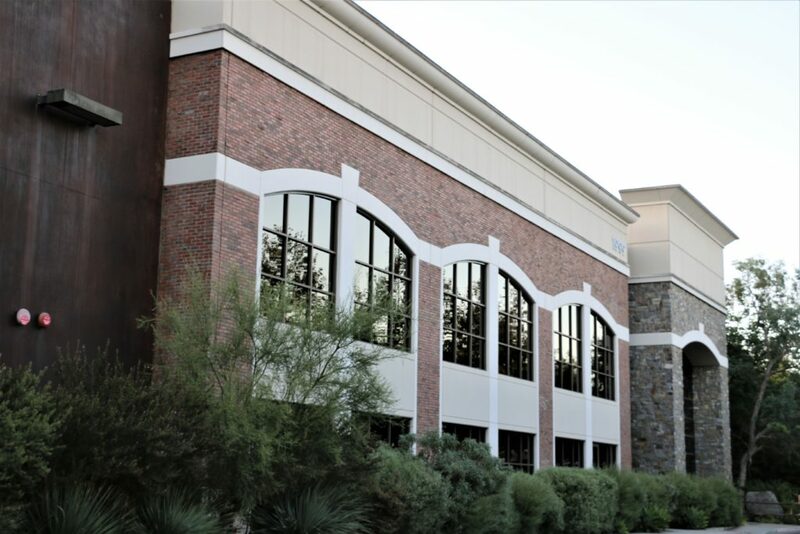 The village will impress you with more than 50 different shops and plenty of eateries to choose from. 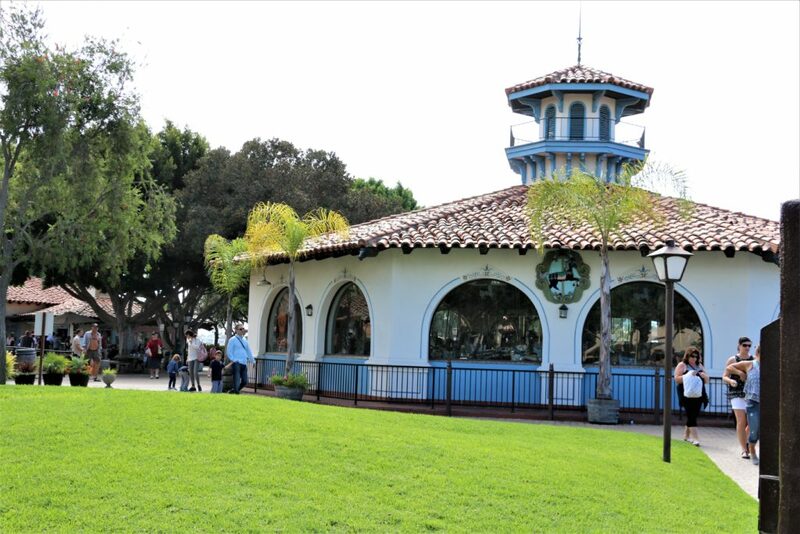 Located in Seaport Village, 1895 Looff Carousel is known for its remarkable history. First installed in 1895 in Fair Park, Texas, the carousel traveled quite a few times by being installed and reinstalled in different cities until it ended up in San Diego in 2004. Despite its old age, this unusual witness of the history is still in a good shape and for $3 will give you a ride on one of its wooden animals. 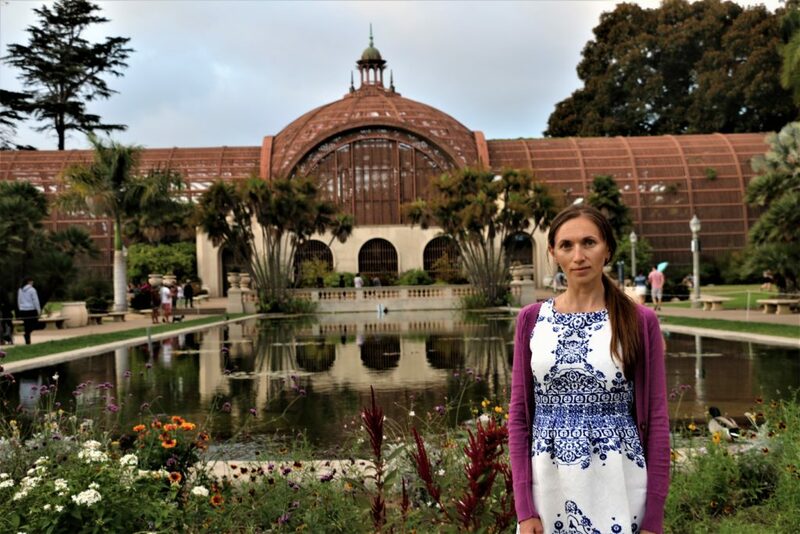 Botanical Building and Lily Pond is one of the most photographed sites of famous Balboa Park. It actually doesn’t come as a surprise. Housing more than 2,100 different plants, the place is very picturesque and always pleasing to the eye. Not a beer drinker whatsoever, I have to admit, it was very interesting to visit Stone Brewery Company, the largest brewery in Southern California, and take one of their beer tasting tours. For $5 and $1 (for people not wishing to drink) you will be able to see the brewing facility and learn about the brewing process and craft beer culture. Over to you. What are your favorite places in San Diego? These places all look beautiful! I would love to see them for real some day! Thanks for sharing! This is such a great list of places! I’ve only been to San Diego a few times, and I definitely want to go back and explore more! Thanks for sharing! The city has so many beautiful places to explore. I’m sure you will like it even more when you get to know it better. I’ve visited San Diego a few times, but still haven’t been to some of these places. I’ve heard great things about Stone Brewing Co. and Coronado Bridge looks amazing! Thanks for these recommendations. The bridge is really amazing, and the brewery is a real fun. What are favorite places in San Diego so far? This is so helpful, I’ve been trying to plan a trip to California – thanks for sharing! 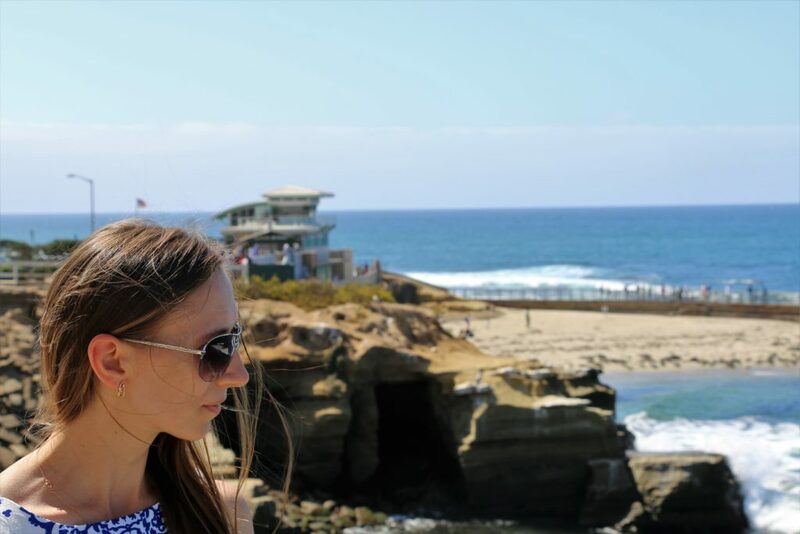 I totally loved San Diego when I visited it last year, especially the Sunset Cliffs! Completely agree with you. So beautiful! The Children’s Pool looks amazing! I remember going to San Diego a lot when I was younger on family vacations, but I honestly had no idea there was SO much to see and do here! We were just in San Francisco but now I’m thinking we need to take a trip to San Diego too. Ben would absolutely love La Jolla Cove! And Seaport Village looks so cute! Looks like a really nice city, the weather alone has sold me 🙂 Been only to LA and San Francisco, this might be my next stop on my next chance to visit US. You have covered amazing places on your tour. I am definitely trying USS Midway Museum. The pictures are awesome, looks like you had a lot of fun.